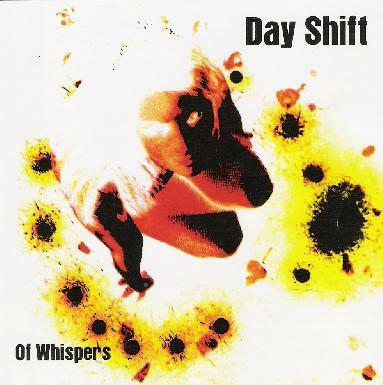 Day Shift - "Of Whispers"
Songs like "The Queen of Whispers" and "The Burning Bush" are potent examples of Day Shift's trademark blazing guitar driven power rock, with bubbly synth embellishments that add space rock elements to the songs. Fans of the last few Porcupine Tree albums will love "Evil People in Cars" and "Undercover", both featuring tight as a knot guitar rock, a psychedelic edge, and the former including Steven Wilson styled cosmic guitar licks. "Sand Head" and "Never" are especially cool Space-Prog rock n' roll songs. "Little Steps" is similar and one of my favorite songs on the album. I love its robotic electro rhythms and high powered space rocking attack. Ditto for "Shift" and "Drift", which play like one song, alternating between Day Shift's space fueled power rock and floaty dreamy atmospheric segments, and really get into trippy brain massage realms on "Drift". Absolutely beautiful! In summary, I see Porcupine Tree albums selling out the ying-yang on Ebay, and for big bucks too. If the Porkies got that many fans then people should be flocking to Day Shift in droves. They're spaced out, have progressive rock elements, the song are great, they rock hard, and still manage to be accessible enough for mass consumption. And to top things off they're crack musicians and the production is top shelf. Check it out. For more information you can visit the Day Shift web site at: http://www.dayshift.co.uk.